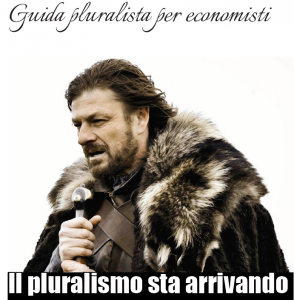 We are proud to announce that our oikos guide to pluralist economics is now available in Italian thanks to the hard work of the members of Rethinking Economics Italia. The guide introduces readers to the wonderful world of pluralist economics, which envisions an economics where a diverse set of theories and methods are taught to students in the undergraduate education. It is a great tool for self or group study, and is used in an interactive workshop that helps students get into the shoes of different types of economists. The guide was created last year by J.Christopher Proctor in his role as the oikos Associate. The translation was done by the members of Rethinking Economics Padova and Torino. See the Italian version here.